1. 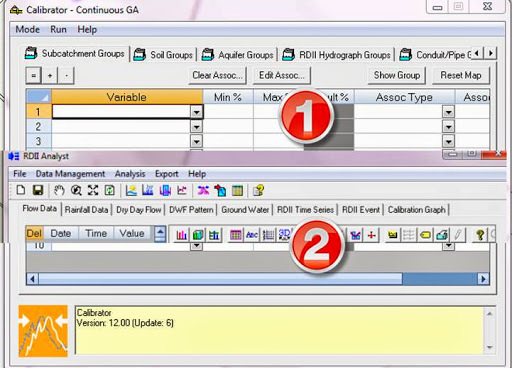 The RDII Hydrograph component of the Calibrator Add On also uses a Genetic Algorithm to calibrate the upstream RDII locations based on monitored flow but using the hydraulic network for the calibration. 2. The RDII Analyst uses a Genetic Algorithm to Calibrate the RTK parameters for one location using monitored rainfall and flow data. This calibration does not take into account the hydraulic routing in the network.